The hospital is located in a nearly 200 year old farm house which led to Doctor Brown’s interest in restoration and construction. Original evaluation by the Bank’s appraiser was that the property would be worth more if the house wasn’t on it. 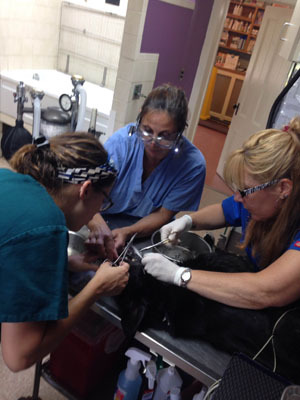 We have since progressed over the years to modern Veterinary facility. Regular continuing education courses keep us current with rapid advances in Veterinary medicine. We maintain excellent relationships with numerous specialists for referral if your pet should need advanced care.